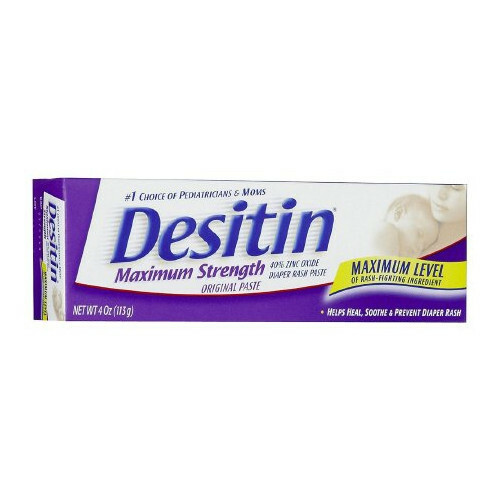 The Desitin Maximum Strength Ointment provides a zinc infused cream for the treatment of irritated diaper rashes that can cause major discomfort for babies, an unhappy baby is a stressed parent. We always try to provide the best for our little ones, some options are closer to grasp than others. When it comes to providing an irritation-free, soothing feel, Desitin has provided not just a protective ointment but a continuing barrier cream that keeps works in preventing chafing in sensitive areas. A high level of zinc oxide is infused with the desitin maximum strength original paste at a level that does not require a prescription to be provided. Zinc oxide is used in many ointments, creams, and pastes to help heal epidermal wounds, rashes, and burns - and carries traces of antiseptic, a substance helpful in reducing infections and preventing bacteria. Aloe is introduced in the ingredients as an addition to reducing itching and irritation. Aloe vera can be used separately for other areas that don't have a need for a rash cream - but have noticed your little one reaching to scratch these areas, to which aloe vera can be used on its own to reduce the itching. You can review some of our aloe vera options, such as the Aloetouch Sensitive Baby Wipes. Made in a convenient travel size, the 4-ounce tube offers the ability to apply multiple applications while being small enough to be carried in any diaper bag - taking up minimal space. The Destin 4 oz Maximum Strength Diaper Rash Cream tube may seem small to some and may wonder about the expectancy of use, keep in mind that the ointment leaves behind a barrier for continued protection. 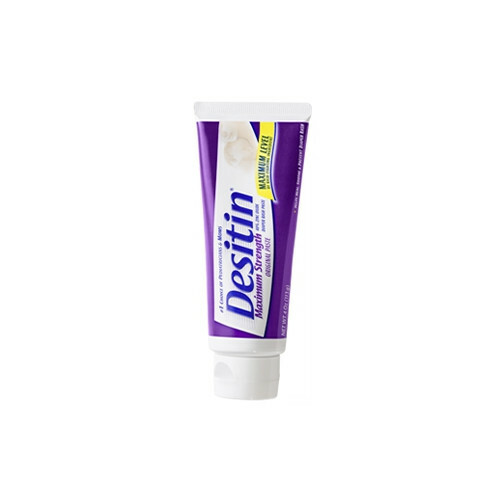 The Destin Zinc Oxide ointment is thick, and leaves behind a protective layer, this layer works as a barrier to not only help heal but also offer protection throughout the day, yes multiple applications can be applied if rash is severe or if the area keeps in constant contact with moisture and is being washed away periodically - but overall, the ointment is meant to be long lasting for your babies comfort.